While there is ever-growing literature on the economic, cultural, and political aspects of globalization, there are no critical, up-to-date studies on its philosophical and ideological underpinnings. Vincenzo Pavone fills this gap in the literature by analyzing one of the most interesting actors operating on a global scale: the United Nations Educational, Scientific, and Cultural Organization (UNESCO). By discussing the relation between scientific humanism and the development of UNESCO, the author studies the relationship between UNESCO and the changes which have occurred in its self-perception, its identity, and its vision of globalization. The first part of the book discusses the emergence of scientific humanism among thinkers such as Bacon, Comenius, and the Puritan reformers, and goes on to detail its subsequent connection with the religious reformation proposed by positivists such as Saint-Simon, Comte, and Renan. Pavone also assesses the influence of both 17th and 19th century scientific humanism on the ideas of Julian Huxley, the founding father of modern scientific humanism and the first Director of UNESCO. 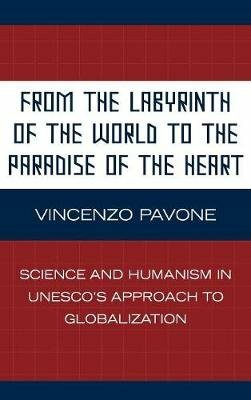 In its second part, Pavone outlines and evaluates the role played by scientific humanism in the history of UNESCO by inspiring a conception of it as a truly global organization-a conception applicable to the first decade of its existence and revived after the end of the Cold War. The third part discusses the relationship between scientific humanism and UNESCO with respect to four of its programmes: the Management of Social Transformations Programme (MOST), the International Bioethics Committee (IBC), the Dakar Framework for Action, and the Culture of Peace Programme (CPP). Based on a universal reform of education, the creation of a system of global governance, and the philosophical appeal of a culture of peace based on science, humanism, and human rights, UNESCO's vision of globalization represents an intriguing example of how our global future has been conceived and, to some extent, realized.